Departure from Milan by car (to be rented at the airport or in one of the rent a car offices located in the city centre) to La Spezia (km 222). Rest of the day at leisure. Accommodation and overnight. 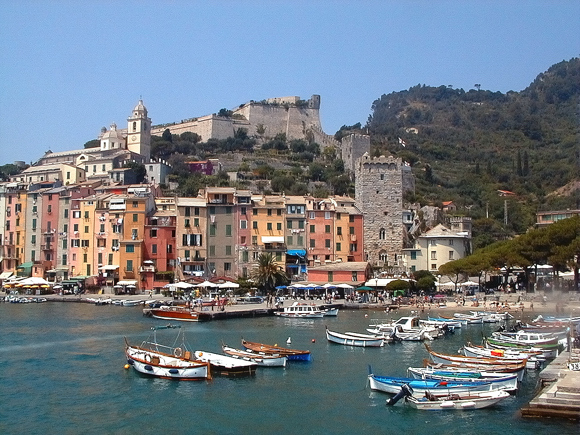 Departure from La Spezia for a full day excursion to the discovery of one of the most enchanting landscapes in the world, “the 5 Terre”. Five villages (Riomaggiore, Manarola, Corniglia, Vernazza – declared Unesco World Heritage Site- and Monterosso) hanging from sheer cliffs surrounded by hills and vineyards. Return to la Spezia and overnight. Breakfast and departure to Genova (km 102). Rest of the day at leisure. Accommodation at the hotel and overnight. Breakfast and overnight at the hotel. Free time to visit of the city and the famous Aquarium. Breakfast at the hotel and departure to Milan (km 145). Rest of the day at leisure to visit the city center with its worldwide famous fashion shops. Accommodation and overnight. Breakfast and delivery of the rented car in one of the offices in the city centre or at the airport. End of our services. €434Per person, based on 4 participants, double occupancy.